We CAN have a Revival in ANY Country! I had recently written an article entitled, “We MUST have a Revival in America.” However, my personal concern is for the “WORLD” to be evangelized and for Christians to experience the type of revival which has the power to shake the world for Jesus Christ! Therefore, I feel a deep need to teach my audience more of this subject. I returned last evening from 10 days of evangelizing and preaching in Zimbabwe, Africa in which both myself, and the dear Zimbabwe people saw a definite movement by the Holy Spirit. Together, we saw between 142 – 152 souls come to Christ in this 10 day period. It is my personal belief that revival can come, one Person at a time, one Church at at at time, one Country at a time. Revival is NOT limited to one country, but is available for “every” country in this world. Our vision must be enlarged! Our concern must be become global! People need Christ everywhere and Christians in every country need to experience a revival.It is by revival that God truly blesses a nation. It is through revival that Christians become moved to evangelize those without Jesus Christ. It is through revival that the Fire of God God falls upon, and then transforms Christians and Churches. Over 150 people walked the aisle after the Sunday evening service committing to evangelize Zimbabwe! Let me briefly share a few reasons why our world needs a revival. First, why does our World need a revival?We must have a revival which will stop the floodgates of rebellion against God.We must have a revival which will restore the moral purity back into our once glorious nation.We must have a revival which will put an end to the mere lip service many have offered to God.We must have a revival which will cause God’s men to preach His Word without compromise, and without fear of offending people!We must have a revival which will cause God’s people to have a deep sense of urgency in reaching those who are unsaved.We must have a revival which will leadChristians to love the Lord with ALL their hearts.Yes, we MUST have a revival in our World!Second, let us take notice of what a Revival is NOT!It is not mere emotion. Just because some tears are shed, does not constitute a genuine revival. Though tears will invariably be present.It is not an evangelistic Crusade, though again, revival will lead Christians to show a deep concern for the Lost, which will lead to increased witnessing for and sinners coming to Jesus Christ.Third, what then is a genuine revival?It is an awakening in our hearts that leads to an increased awareness of the nearness of God.We will realize that God is ever present with us and our thoughts become filled with Him.This of course, leads us to love Him in a deeper, richer way, perhaps more than ever before.At this point, will you not pray a similar prayer to this daily, and throughout the day, with deep passion and urgency?“Revive me again dear Lord.” Revival in my country must start in my heart. Send to me, send to my family, send to my Church, and to my beloved Country, the revival which will cause You and Your glory to fill our heart and Church. I am aware that revival will shake things up; challenge the status quo; bring discomfort to our often cold and calloused hearts. Dear God, I want revival! I needrevival! I greatly desire and earnestly yearn for revival! I must have a revival!”Revival can, and in fact often starts with one or two people, somewhere in the world which begins to prays daily for God to start a spiritual movement in their part of the world. The famous Welch revival was prayed fordaily for 13 years by a young man, who, at the age of 26, began his prayer for revival. Thirteen years later his country expericed what has often been called, the greatest national revival this world has seen! Places which sold alchol were closed down due to a lack of interest; souls came to Christ by the thousands! Lives were TRANSFORMED by the Gospel of Jesus Christ!Is this what you desire? Is this what you WILL commit to?If so, please contact me at: JimKilgoreMinistries @gmail.com so I may specifically pray for your part of the World. I have a world map in my home office in which I am praying for souls to be saved and for specific Nations to experience a real, Biblical revival which will change entire Countries!II Chronicles 7:14 makes this promise of revival available to each country: “If my people, which are called by my name, shall humble themselves, and pray, and seek my face, and turn from their wicked ways; then will I hear from heaven, and will forgive their sin, and will heal their land.“Psalm 85:6 expresses my heart’s desire for revival perfectly: “Wilt thou not revive us again: that thy people may rejoice in thee? These promises are for EVEVY Country to claim IF that Person, Church, or Nation is willing to meet God’s requirements for revival. In a recent leadership survey 72% of people who answered the survey, indicated they were looking for a leader who was forward-looking. That is, 72% were saying they wanted to follow a leader that could provide hope of a better tomorrow than what they were experiencing today! Someone once said, that the best way to lead people in the future is to connect with them in the present. People naturally want to accomplish some special and significant. It is the job of the leader to provide that hope of a much better tomorrow through the achievement of the dream. A Man Walking on the Moon: Are you Serious? No one in America could have dared dream of watching a man walk around on the moon dust during that era. What was so remarkable about this vision was that a mere 50 years earlier, almost all Americans were traveling by horse and buggy! Yet by July of 1969, men were actually walking on the moon! They had a Vision, they had a Strategy, and ultimately, they experienced great deal of success! What made this “Miracle” even Possible ? How could this happen so quickly? To begin with, the Leadership painted a picture of what success would look like for them. This vision was specific and crystal clear. To American, success was found in placing a man on the moon and then returning him home safely. This vision was big enough to inspire an entire nation. I know, because I was an older teenager when man walked on the moon’s surface, and I can vividly remember the excitement which swept across America. I cannot even imagine the action steps which were required for the “Team to achieve the Dream.” This is where so many people and their Teams seem to stumble and falter with their dream. For creating actionable steps requires an enormous amount of time and thought. Then you must place the steps in sequential order. On top of the above planning steps, Leadership must now decide “How” to communicate the vision. A critical principle I have learned over the years in communicating the that this communication must be continual! Some leaders mistakenly believe they can communicate the Dream to the Team, once, or possibly even twice and expect the dream “to take off.” This, quite frankly, is not going to happen in most cases! All of Leadership must continually communicate the same message often in order to keep the dream ever before the people. Again, this is where even good Leaders fail. Thinking it is enough to communicate the vision one time and that the team will stay focused on it is rather ludicrous. People lose focus by nature. Their minds shift. Their daily priorities begin to shift. Keeping the Dream before the Team will keep everyone calibrated toward what is really most important. In closing, let me provide the outline I have used many time in dealing with the subject of Creating your Vision. 1) Create the Vision. Draw a portrait with words and pictures, of what success will look like for you. 2) Be Clear and Specific. What steps are needed, and in what precise order, will lead me to the accomplishment of the dream? 3) The vision must be Compelling. A small dream never excites anyone. Dream big!! What is your BIG “Man on the Moon” Idea? What would you do if you “KNEW” that you could not fail? To know that all you had to do was to execute the plan and success would be certain? 4) The vision must be Calibrated. There will be times in which you will need to tweak the action steps. 5) There must be a time of Celebration. Take time to celebrate success along the way with the team. This creates momentum. Remember, Dream Big Dreams, for Small dreams inspire no one. “The Lord is not slack concerning his promise, as some men count slackness; but is longsuffering to us-ward, not willing that any should perish, but that all should come to repentance.” II Peter 3:9. During March of 2013, while witnessing in Harare, Zimbabwe, I approached a man in his early fifties about placing his faith in Jesus Christ alone for salvation. He proceeded to tell me of some heinous sins he had committed and did not think that he could go to Heaven. I thank God that while on a street crowded with hundreds of people, this man bowed his head and called upon Jesus Christ to save him. This is not an isolated feeling among people I have tried to evangelize. Yes, I understand clearly the awfulness of sin and the devastation that sin brings. I further understand that God’s love for sinners is why Jesus came from Heaven to travel straight to Calvary’s cross to pay man’s sin debt. 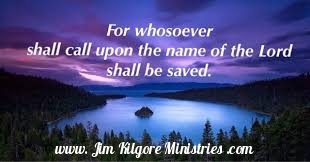 But I also have heard so many people claim they could not get saved because their sins were too great and grievous. Grace is the unmerited favor of God. Grace is God giving to you and that which we do not deserve, namely Heaven, the forgiveness of sins, justification which means in its strictest sense that God sees the Believer as though he had NEVER been a sinner in the first place. God didn’t overlook your sins, lest He endorses them. He didn’t punish you, lest He destroys you. He instead found a way to punish the sin and preserve the sinner. Jesus took your punishment. This is why Jesus cried out on the Cross when the sins of the world were being placed on His sinless body. “And about the ninth hour, Jesus cried with a loud voice, saying, Eli, Eli, lama sabachthani? that is to say, My God, my God, why hast thou forsaken me?” (Matthew 27:46). To answer this question to make it so clear as to remove any question from your mind, I shall use the Bible and ask the Holy Spirit to convict, as well as convince you of these Biblical truths. Jesus has Done EVERYTHING for you to saved and go to Heaven, but He will not “Force You” to go to heaven. HE HAS LEFT THAT DECISION UP TO YOU. THERE IS ONLY ONE THING YOU CAN DO NOW. You must Place your Faith in Jesus Christ as your ONLY Hope of Going to heaven. Romans 10:13. Today, I remind all people that God is both Able and Willing to save Any and All that will come to Jesus. I Timothy 2:4: “Who will have all men to be saved, and to come unto the knowledge of the truth.” Paul reminds each person of the gracious invitation of God that ANYONE and EVERYONE can be saved. Will You Sincerely Pray Right Now? I know that I am a sinner and that I deserve to go to hell because of my sins. I Know That You Died on The Cross and Shed Your Blood to Pay for All My Sins. I ACCEPT WHAT YOU DID FOR ME, AND RIGHT NOW I AM TRUSTING COMPLETELY IN YOU, AND ONLY YOU, JESUS, TO TAKE ME TO HEAVEN WHEN I DIE. JESUS, YOU PROMISED that if I would call on You, that You would take me to Heaven. Jesus, I believe You. Right now, I accept Your Free Gift of Eternal Life. Thank you for saving me from Hell and allowing me to Heaven when I die. Amen. If you sincerely received God’s Free Gift of Eternal Life today, please send me a brief message so I may rejoice with you. I would also be willing to send you some discipleship lessons to help you in your new life in Jesus. More important than “having” a friend is that of “being” a friend. The Bible speaks of having a friend that sticks closer than a brother.. Driving to work today, I had been thinking about Leadership and Friendship. I had been meditating on how vital it is that a leader focus on the encouragement of his team, family, followers, and one’s friends. The leader must provide HOPE! Why? Because a Leader cannot lead others to rise to the Top while they are living on the Bottom of life! People need Hope! They need to know there is going to be a better tomorrow! A word of encouragement from a friend, or one that is greatly respected can make all the difference in the world, to a person who is clinging to very little hope! The best way in which I provide encouragement to those who are discouraged is to remind them of God’s promises. I love to remind people that God STILL loves them. God said in Jeremiah 31:3: I have loved thee with an everlasting love. This simply means that there is no circumstance that would cause YOUR Heavenly Father to withdrawal His love from you. His love is everlasting! I love to remind people of how much God cares about them! Peter reminds us of God’s “personal interest” in us as he penned these words, divinely inspired by God Himself, “Casting ALL your care upon Him, (why) for He (God) careth for (who) YOU.” I Peter 5:7. Dear Reader, God not only loves you, but He cares deeply about the things which you are going through. This is why God has invited YOU to cast (to toss or to throw) ALL of your cares, concerns, fears, hurts, loneliness, upon Him. But why should you? Because God careth for YOU!! I love to remind people that God is Omnipotent, which means that our God is All-Powerful. There is nothing too hard for our God to do on our behalf!! Matthew 19:26 states, “But Jesus beheld (means to turn one’s eyes upon to look at) them (you) and said unto them, With men this is impossible; but with God ALL things are possible.” The question was raised in Genesis 18:14, and again in Jeremiah 32:27 the following: “Is there anything too hard for the Lord? Jeremiah 32:17 provides us with the answer to this crucial question, “Ah Lord God! behold, thou hast made the heaven and the earth by thy great power and stretched out arm, and there is NOTHING too hard for thee. Aren’t you grateful to share in the promises which God has made to those of us who are Believers? But you may be reading this article and are uncertain as to where you might spend eternity. I would like to remind you of a few promises about eternity. Thank God for His promises which become a soft pillow for the troubled heart. Whom do you know that needs your encouragement today? Will you help encourage them in the Lord today? 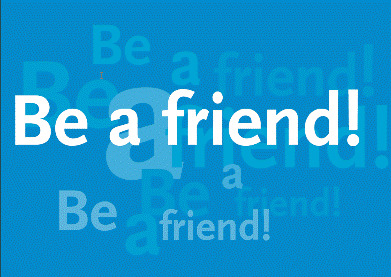 Will you commit to focus more on “Being a Friend, than in Having a friend? It will become a life-changing decision for you. There are so many hurting hearts in this world. We must be used of God to encourage and help our friends, and yes, even strangers. 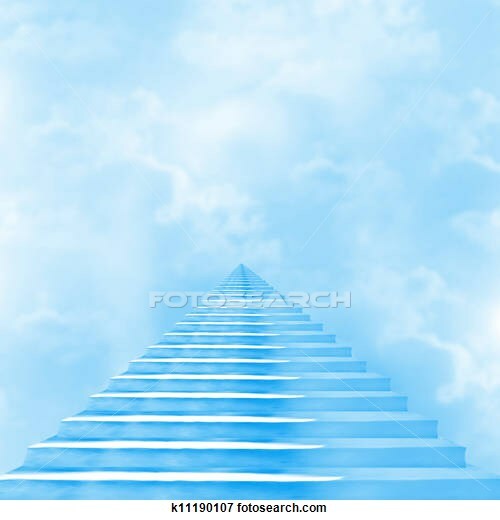 Note: Should you desire to learn more on how you can know you will go to Heaven when you die, please email me at: JimKilgoreMinistries@gmail.com. I will personally call you on your phone and help you settle this matter today! !